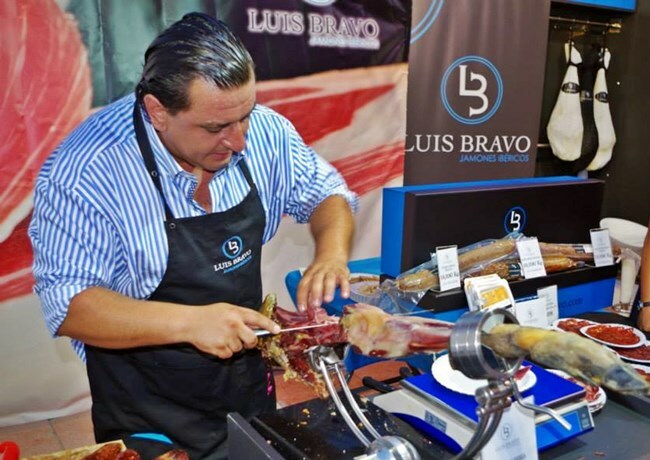 Estepona will host the fifth edition of the World of Jamón Festival, from Friday 10 to Wednesday 15 August, which will also offer six concerts free of charge to boost this gastronomic event, which will take place on the promenade and which is expected to attract more than 200,000 people. Musical performances are one of the main attractions of the event, which will offer a live concert every night. Hugo Salazar will be open the event on August 10. María Calero and Alejandra Rodríguez, Hermanos Moreno from the TV show ‘La Voz’, Valerie Blue, and ‘Como en Casa’, will entertain on the evenings from 11 to 14, and the final touch, on Wednesday 15, will be a concert by ‘Bordón 4’. In this edition the sponsors of the festival are singer Nuria Fergó and the Global Gift Foundation. Top ham cutter and event organizer, José María Téllez ‘Popi’ stated that the Estepona Jamón ‘Popi’ Contest aims to highlight the high variety and quality of Spanish Iberian products and the gastronomic excellence of the land derived from the Iberian pig, as well as paying homage to the figure of the cutter of ham with tasting dishes that will go on sale at a price of 5 euros. The brand ‘Sabor a Málaga’ has supported this event since its inception, since in addition to promoting the Iberian products of the province and position among the most recognized firms in the country, contributes to boost gastronomic tourism in the town of Estepona, which receives many visitors every year on the occasion of this event.